As a percussionist, I have never had a big desire to pick up the bass or guitar. My father-in-law plays both, so at family gatherings I spend my time behind the skins. Well, Ubisoft released Rocksmith a while ago, and my wife gave me a nice starter guitar from Excel that looks not unlike a Gibson. I’ve spent a little time behind the strings, but admittedly the steep learning curve had me playing the same tracks just one too many times. I’ve not given up, but I’ll say that my pace has slowed. When I saw at the Ubisoft Press Event that Rocksmith 2014 was on deck, I knew that I had to take another run at it. Not unlike Rock Band, in the original Rocksmith you spent your time playing the game with the original tracks (or absolutely horrible “As made famous by” tracks) blaring in the background. If you miss notes you’ll be treated to plinks and clunks. In that way, Rocksmith and Rock Band were a little like playing a Karaoke game. 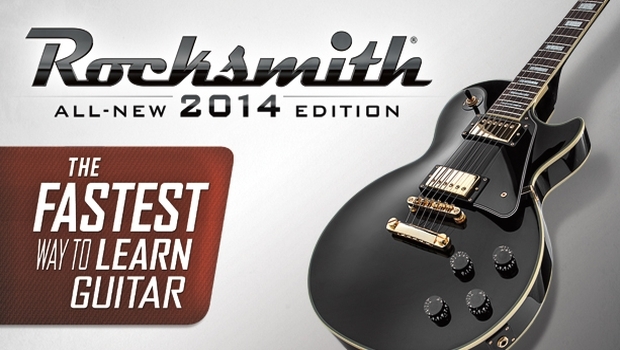 Rocksmith 2014 wanted to go a different way. In the end, it looks like everything that caused me to stutter in my quest to learn to play guitar with the original Rocksmith product has been fixed and updated. I’m ready to get back to those silly note matching minigames, Ubisoft – teach me how to shred!! In the mean time, I bow to Jerry Cantrell from Alice in Chains to demonstrate Session mode at the Ubisoft conference.